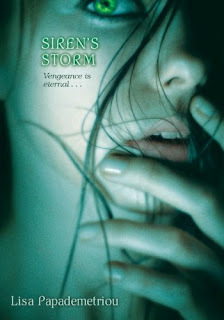 This week we're looking forward to reading Lisa Papademetriou's latest YA novel, Siren's Storm. Here's the summary from Goodreads: Nothing has been the same for Will ever since what happened last summer. One day, on an ordinary sailing trip with his brother, there is a strange accident. When Will wakes up, he learns his brother has disappeared, presumed drowned. Worst of all, Will can't remember what happened—his family finds him unconscious, with no memory of the accident. Summer vacation. Swimming. A weird accident. Sleepwalking . . . and a mysterious girl. Sounds like a great read! We really like the cover, too. Siren's Storm, hardcover, 272 pages, YA, will be published by Knopf Books for Young Readers on August 9th. This book looks good! Thanks for featuring it. The girl looks like she is trying to pick her nose...LOL It just struck me as strange when I seen the cover..book sounds good though!